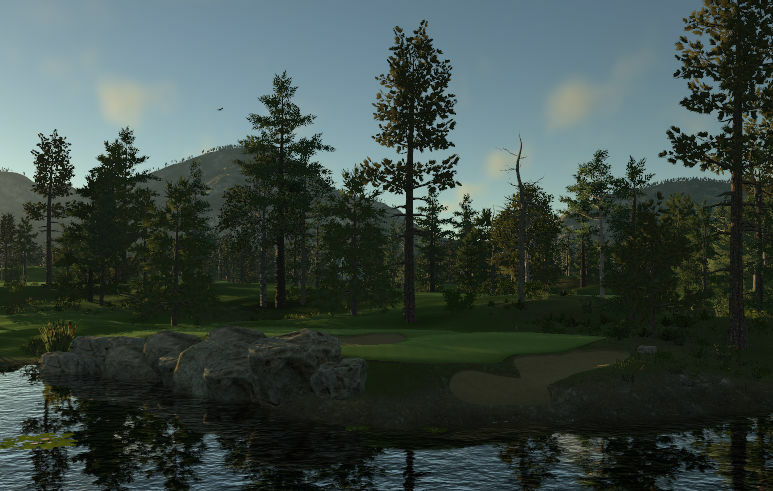 The Shore Course weaves its way through Ponderosa Lakes National Park and features stunning views, elevated tees, ample variety, and water coming into play on all 18 holes. The signature hole is the par 3 4th hole. Known as "Devil's Paintbrush" this short par 3 features an elevated tee shot to a well bunkered green with water on all sides. 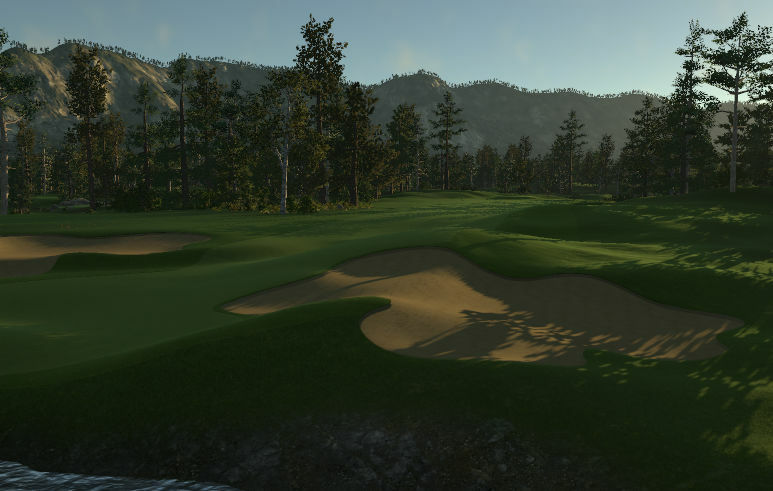 The Shore Course plays on the more difficult side, but focused golfers should be able to shoot under par at the Shore. Enjoy! If there's one thing you'll take away from The Shore Course at Ponderosa it's the expert level smoothing applied by Andre. There are no jarring elevation changes - everything just flows. The setup seems to be a fairly firm course with medium slow greens. 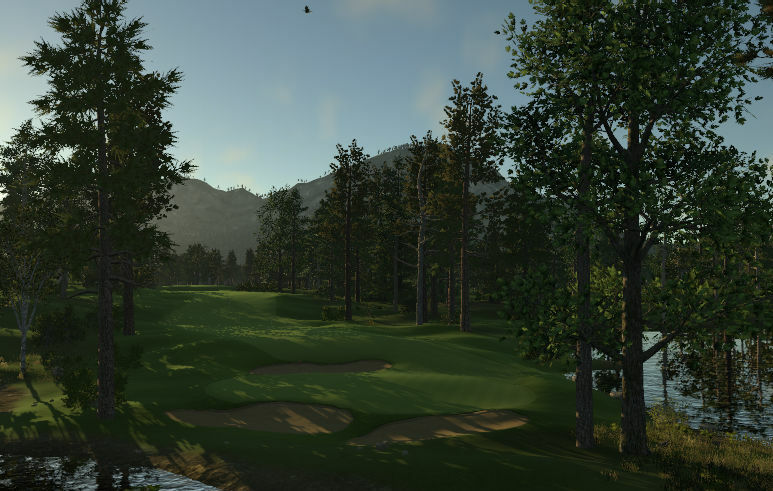 You'll have some long drives and big bounces on the greens but once the ball is rolling it'll stick pretty good on all the medium to severe slopes you'll encounter. If you're not near the pin you'll definitely have some adventurous putts out there. There are a couple of holes that lag behind the others but the overall experience was a positive one. Andre shows lots of potential and should be on your watch list for future releases.